Conferences i/o makes Continuing Education programs and training sessions more engaging and interactive.  Our Audience Engagement Platform helps organizations comply with specific requirements related to providing continuing education. Go Paperless! No more sign-in sheets or post event Continuing Education Forms. 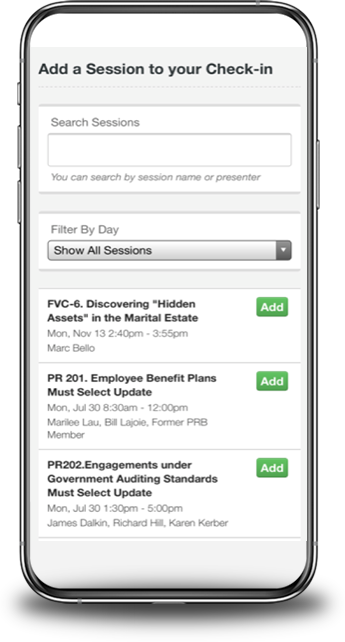 Conferences i/o has a Full-Attendance Tracking solution for continuing education conferences and courses and seminars. Save countless hours compared to manual paper processes. 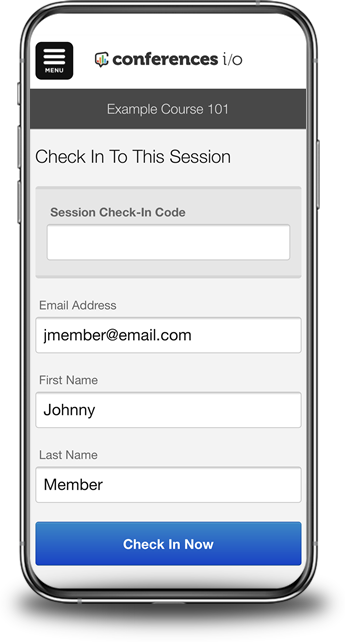 We have solutions for tracking attendance at single or multi-track conferences. Attendees can use their own devices or the organization can provide “kiosk” devices on-site. Attendance data is easily imported into the Database/System the organization uses to track continuing education. 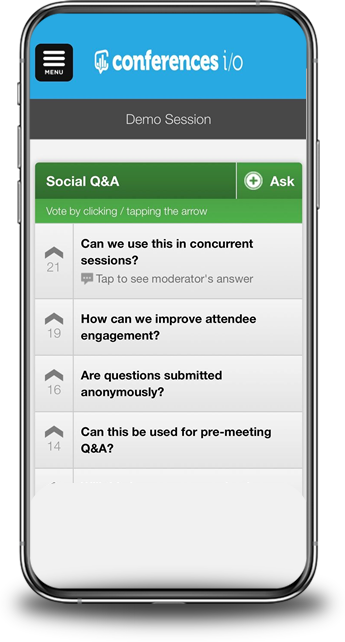 Attendees can submit questions in real-time and see other questions that have been asked. 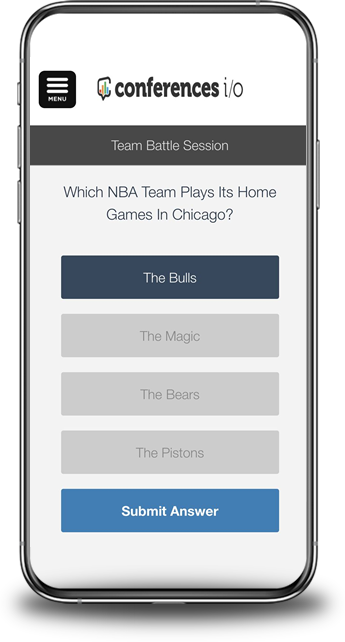 If an attendee sees a question that they want answered, they vote it up, and the list of questions automatically sorts by popularity. So when it’s time for Q&A, the instructor knows what questions are most important to the entire group, not just those willing to raise their hand. 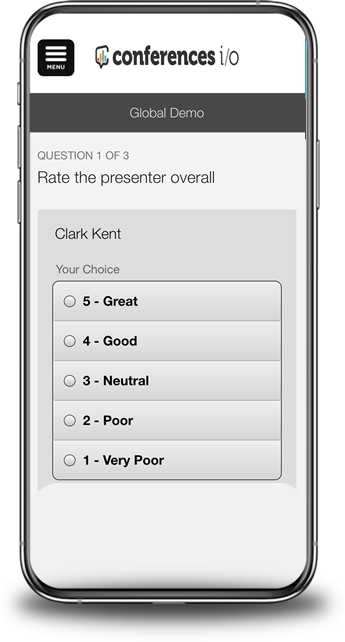 Attendees can complete evaluation surveys in real-time, before they even leave the room… resulting in higher response rates and more accurate data. You can download a report with a single click that includes evaluation data from ALL of your CE programs, provided in a conveniently organized format. 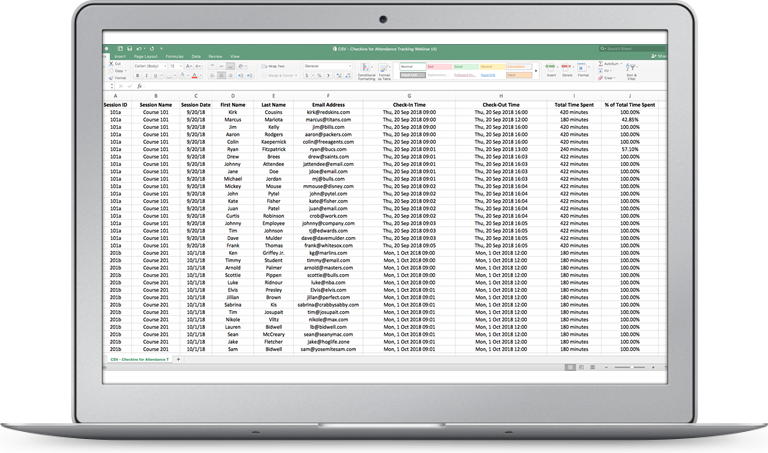 All of the data from Conferences i/o is exportable and all of our reports arrive in a format that you can actually use for analysis.  If you’re using Conferences i/o to comply with CE Requirements, you’ll have all of your data conveniently documented and easily accessible. All data in one place. More effective learning for attendees = higher likelihood of repeat attendance. More interactive and engaging presentations lead to more favorable ratings on session evaluation surveys. Engaging & interactive. Not just listening but more effective learning.